A patent filed by Apple suggests that iOS 5 will see 'Spaces' come to the iPad. On OS X for Mac computers and laptops, Spaces is an application that allows you to segment your desktop so you can group applications together and swiftly toggle between them. 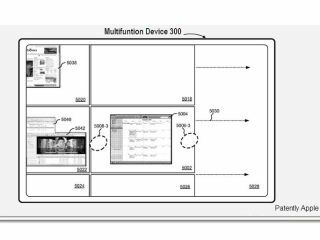 The patent application shows a touchscreen device with Spaces controlled by multi-touch gestures, which hints at the gesture control that is only available to devs in iOS 4.3 becoming standard. Each Spaces segment in the patent application shows a snapshot of the running application, suggesting that you will be able to switch between open apps effortlessly – something that iOS is currently sorely missing. Patently Apple uncovered the patent, as it is wont to do, and goes as far as to suggest what we're seeing is in fact OS X Lion on the iPad. We'd be very surprised to see Apple switch to its Mac OS on the iPad, but one thing's for sure: it needs to sort out its tablet multi-tasking quick sharp before Android tablets like the Motorola Xoomtake that crown.